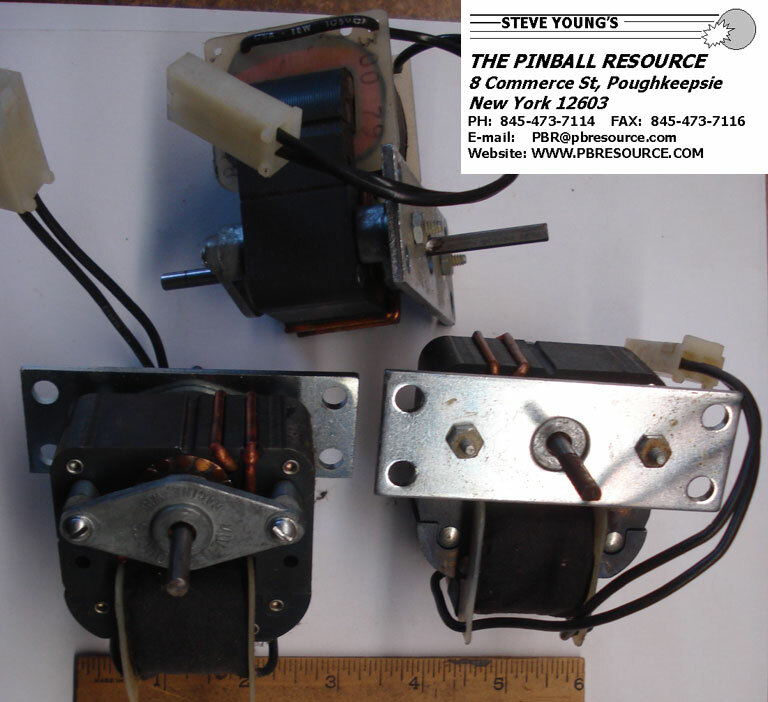 The Pinball Resource stocks replacement motors for your Favorite Pinball Machine. 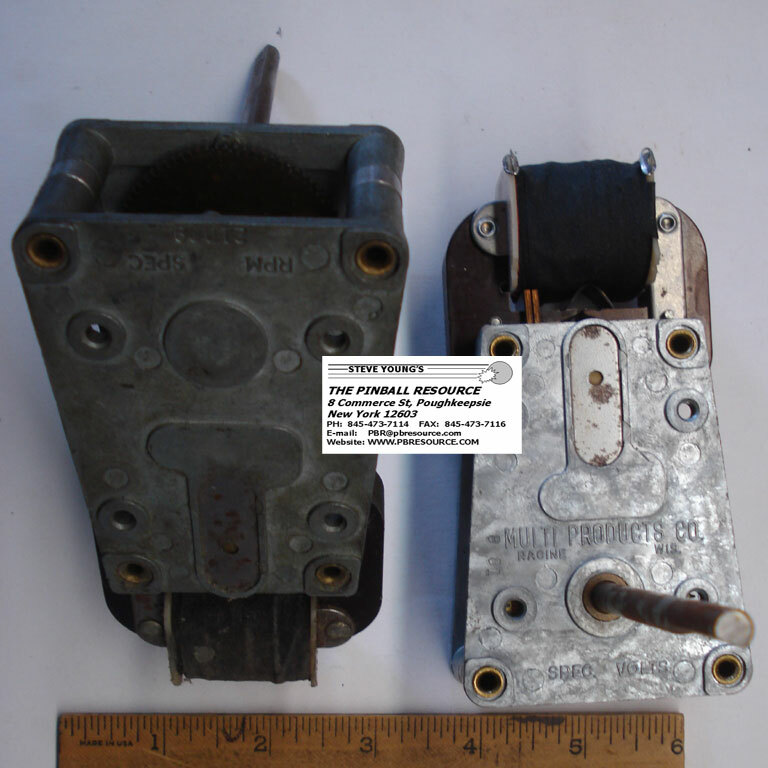 Listed below are some of the replacement motors, belts, and gears we currently stock. 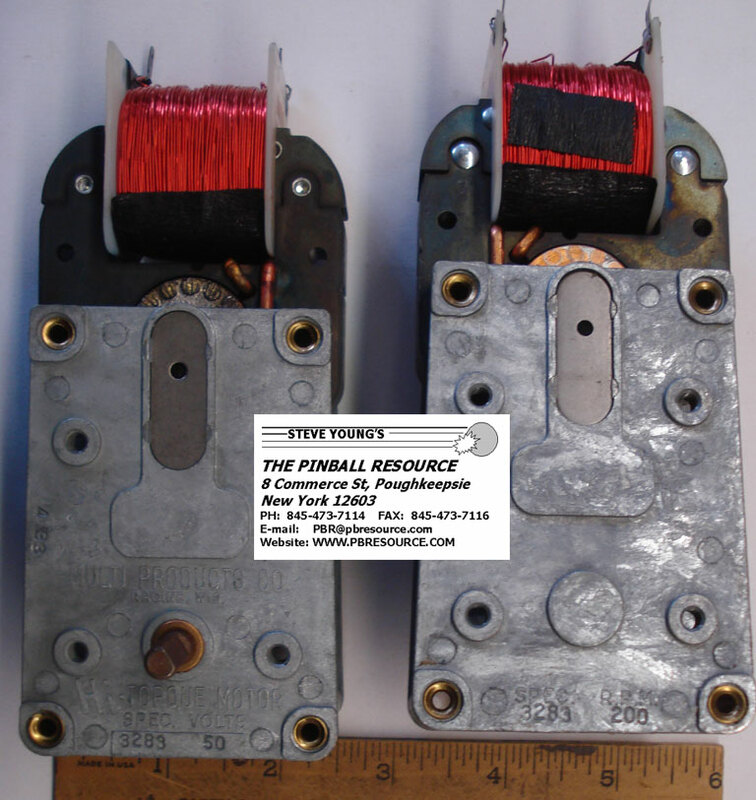 We also carry the Belts and Gears associated with these motor's. If you don't see your motor, ask! 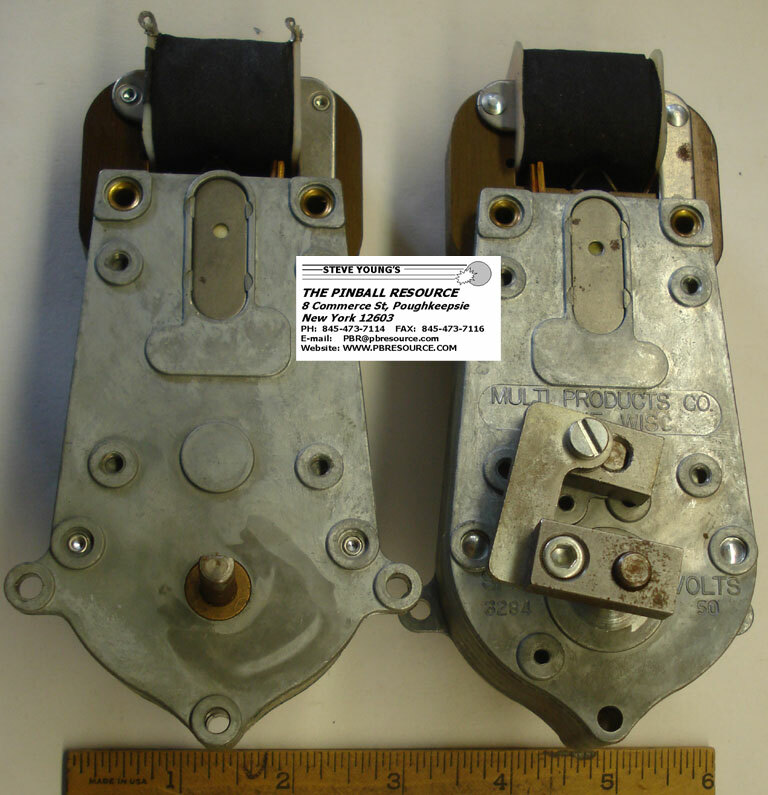 Looking for Atari Flipper Motors? 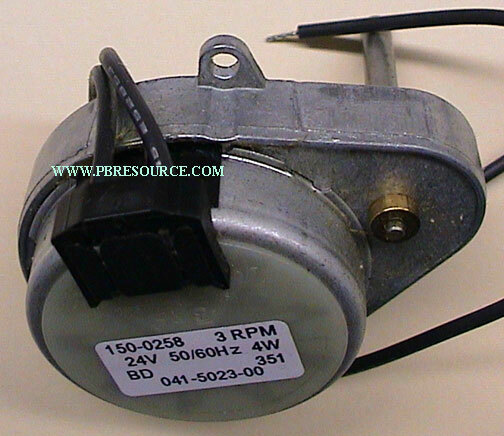 (Most of the below CCM Motors are 1 of a kind – Limited to PBR Stock)! 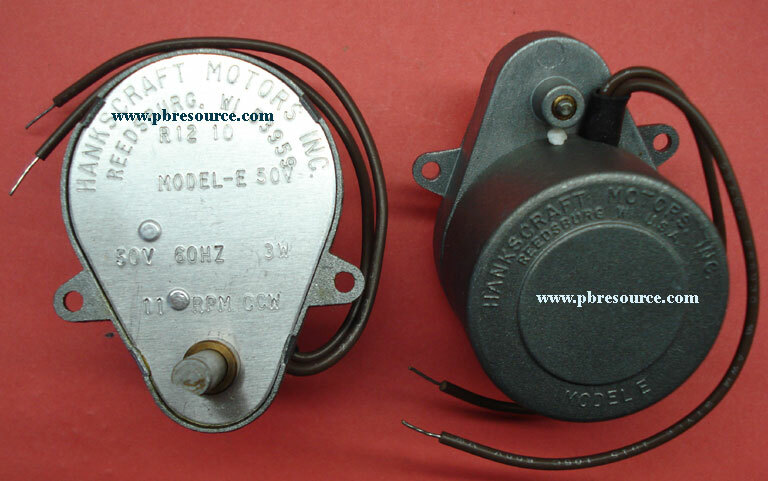 -Original Motor -No Longer Available – We can offer a substitute Motor 31684, a little different RPM and an extra shaft. Customers tell us it works fine without any modifications. Spec Number is stamped on Gear Box! 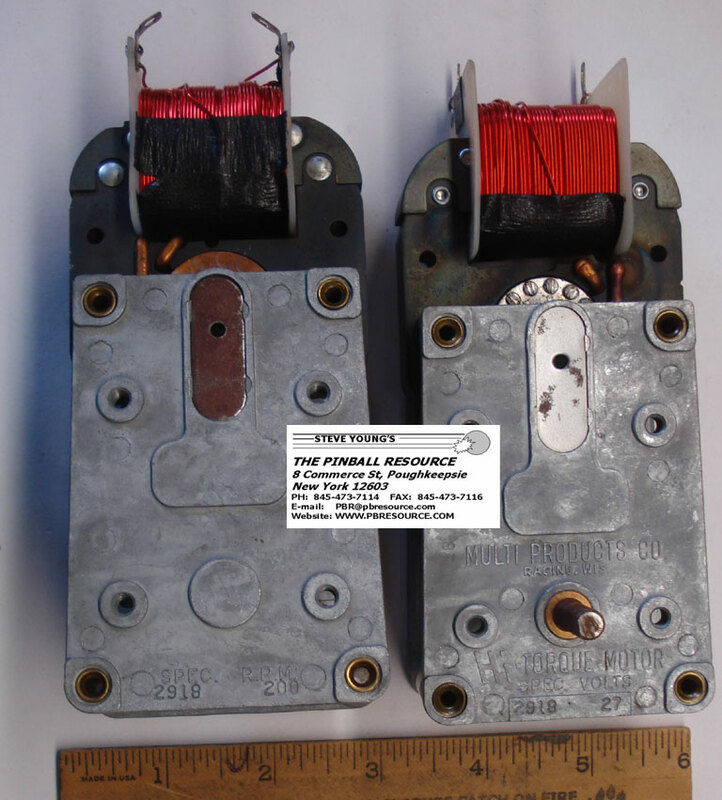 (Most of the below Midway Motors are 1 of a kind – Limited to PBR Stock)! 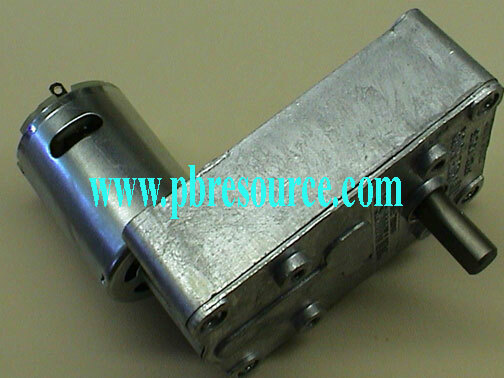 Some of these motors are new, some are used, suggest contacting us to discuss! 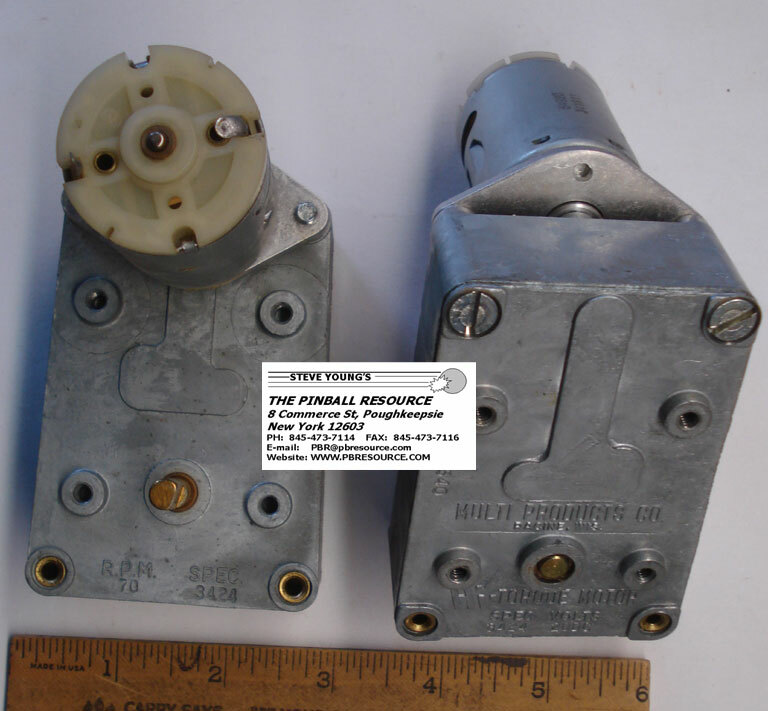 (Most of the below Playmatic Motors are 1 of a kind – Limited to PBR Stock)! Part Number is stamped on Gear Box! (Most of the below United Motors are 1 of a kind – Limited to PBR Stock)! (Most of the below Williams Motors are 1 of a kind – Limited to PBR Stock)! (Not Available New -We can offer to have your existing motor repaired– call us to discuss (845) 473-7114, ask for Steve). 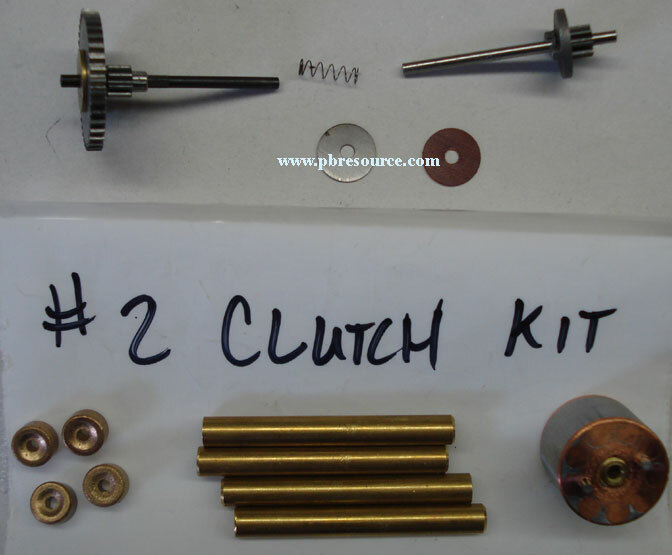 We offer a Brush Kit that fixes most problems with Shaker motors. It's part #MP-BRUSH for $18.00ea. 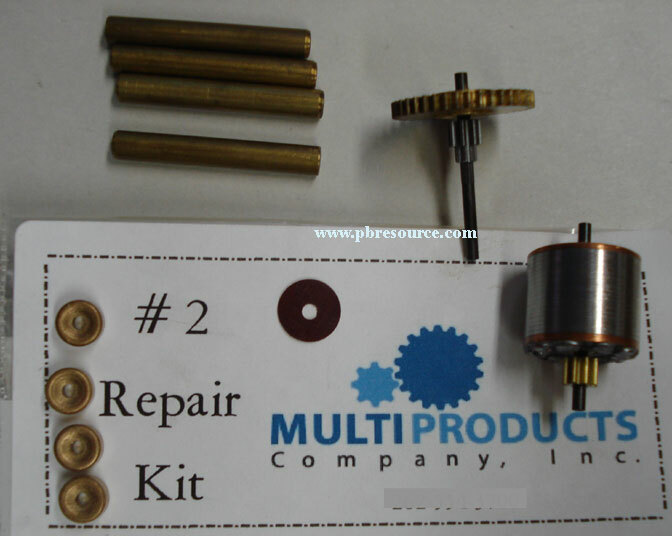 This kit replaces the brushes in games like Gottlieb Gladiators, Williams Earthshaker, Roadshow, and Harley Davidson. 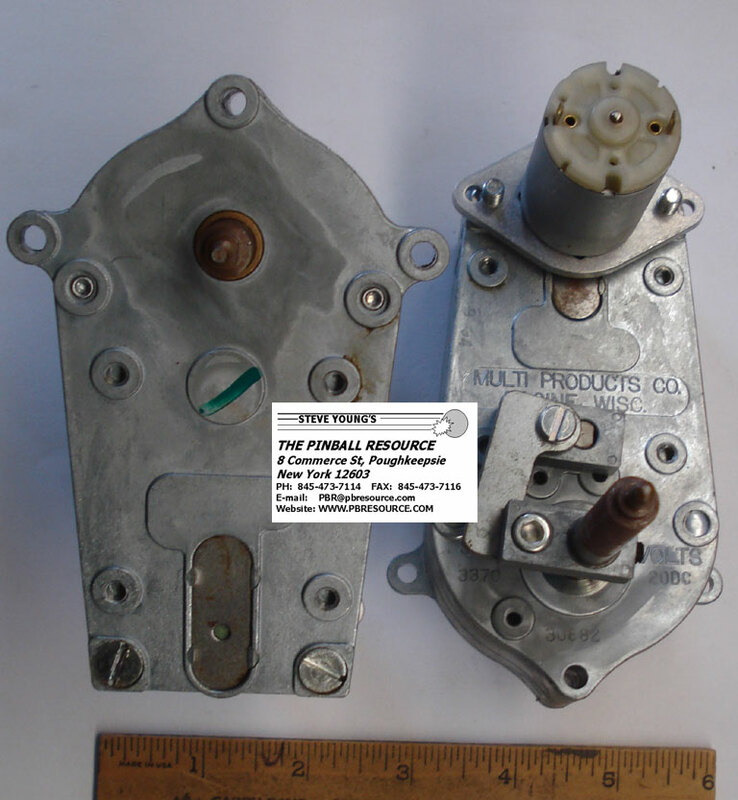 In the attempt to avoid errors in purchasing motor rebuild kits, I would like to clarify what these kits fit. 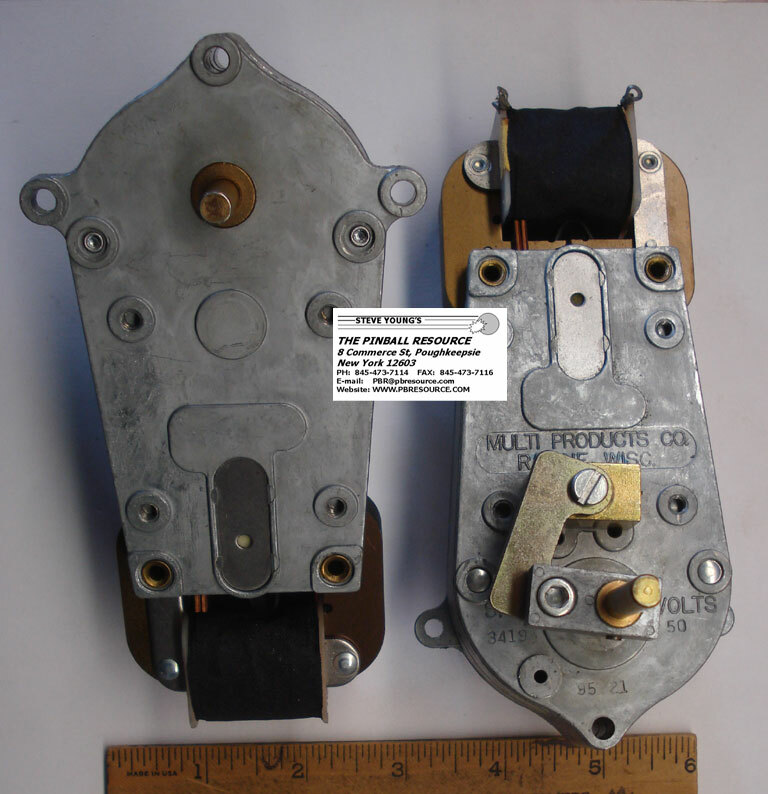 Even though from the photo, the kits look like they may fit your application, there are a number of motors where these kits will not provide the correct parts (and there is no kit assembled for these motors, these motors need to come in for rebuild). 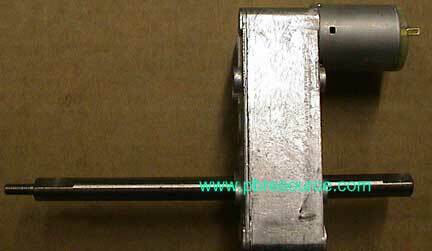 The kits will work only on motors where the first reduction gear shaft diameter is 5/64" (0.078125"). 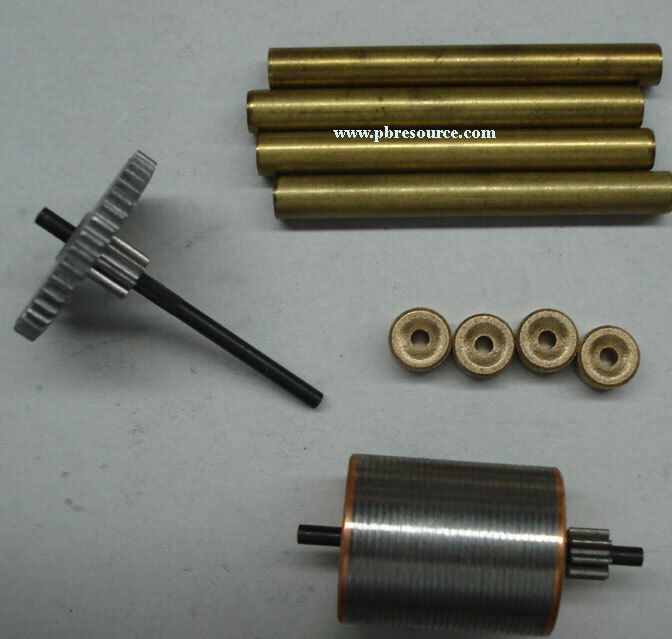 Motors where the kits will not work include, most commonly, a first reduction shaft diameter of 1/8" (0.125"). 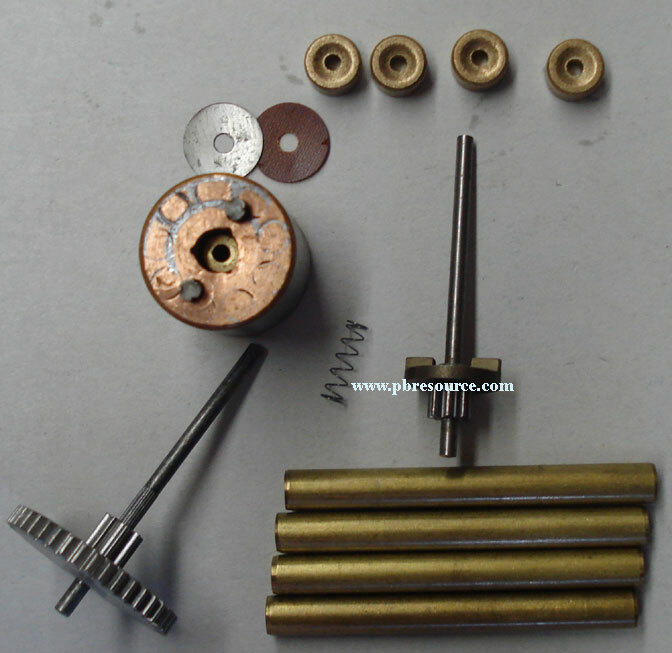 Once the larger shaft in involved, there is a wide range of parts that vary, making kits impractical. To determine your Lamination Thickness, click on the thumbnail below! 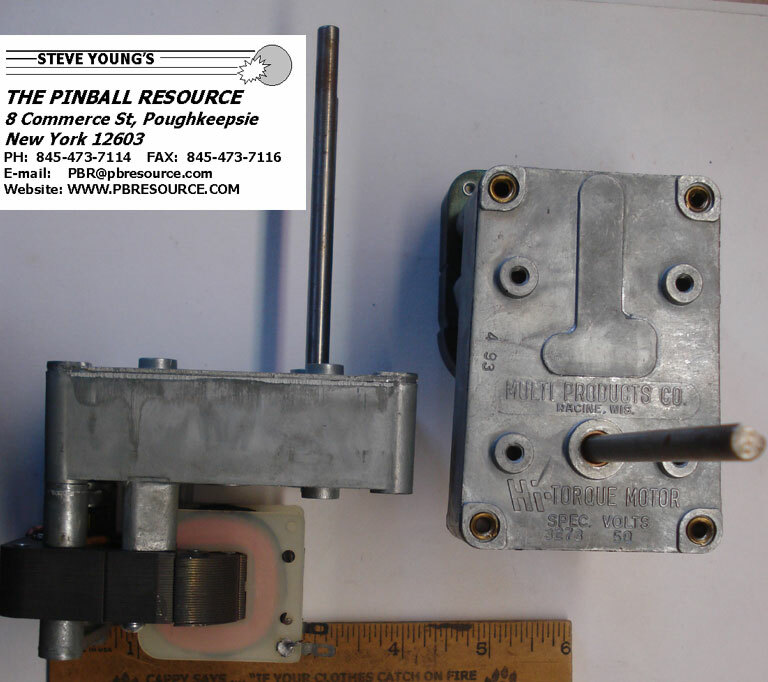 On Sept. 1, 2010, Pinball Resource took over the responsibility for repairs of older Multi Products, Moto-Search, and United Manufacturing (UMC) gearmotors from Multi Products who had been performing them. We are doing this with the help and parts support of Multi Products, whom we would like to thank for the opportunity and for the support. 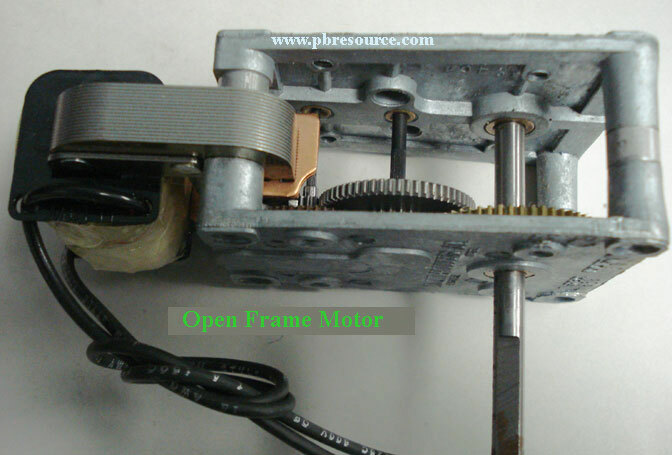 Multi Products...open frame (visible gears) and closed gearbox (baseball, bowler/shuffle and arcade). 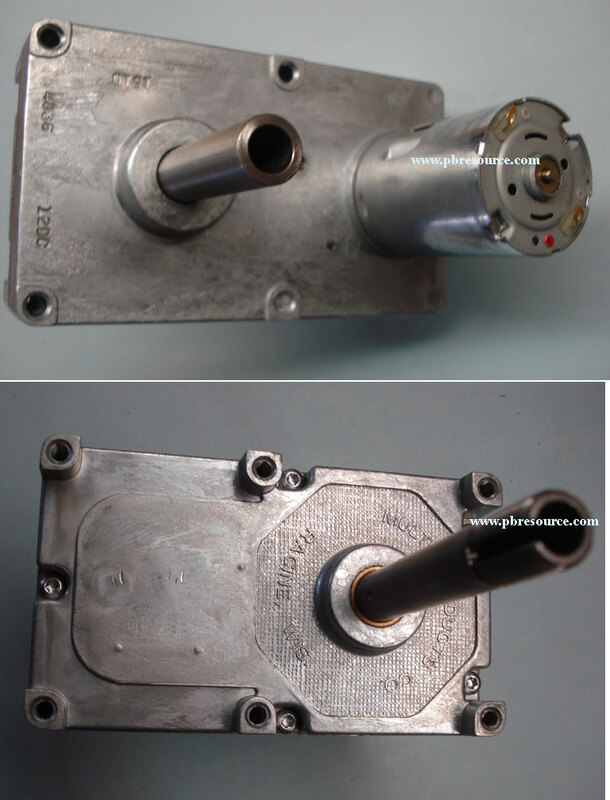 We will be able to repair motors that are the DC or closed gearbox type but we dont wish to have the repair business compete with the remanufacturing business. 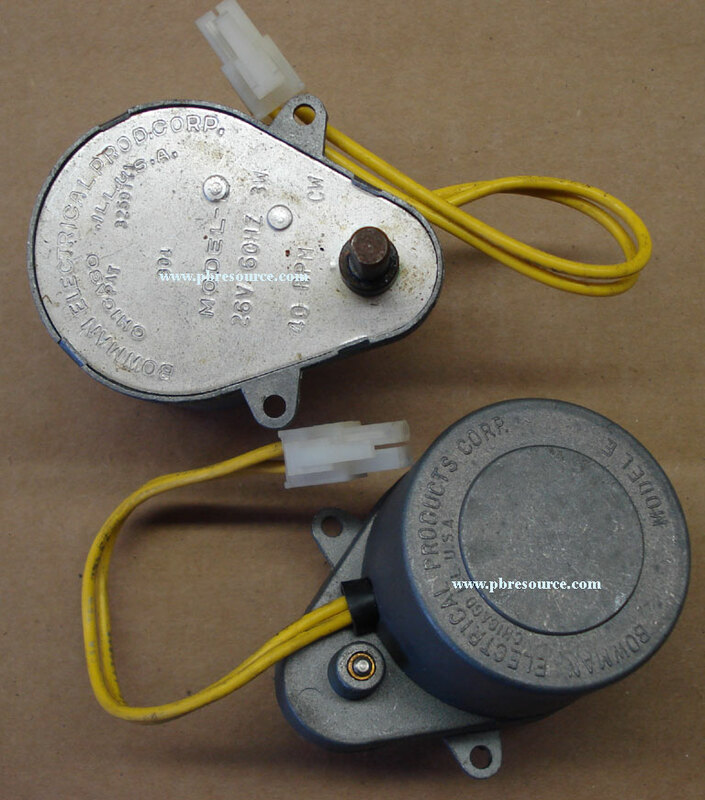 Please ask us directly regarding the repairability of any Multi Products motors that of these styles. 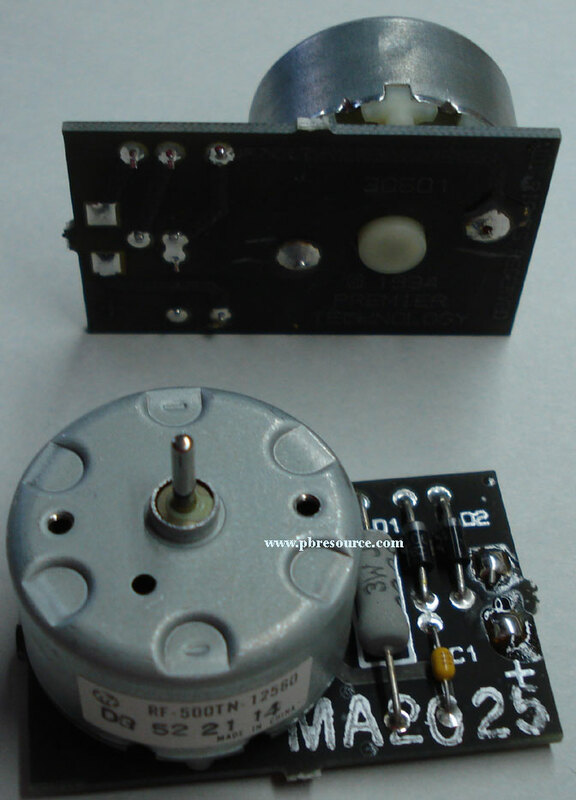 With the passage of time, many of these types of motors are being discontinued and are unlikely candidates for remaking, so we are seeing many more requests for repair. 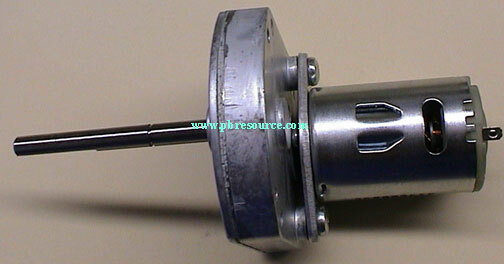 We have had good success with repairing these types of motors. We still encourage you to look for an original or new motor as an outright purchase may be less expensive than a repair. UMC...As we took over this enterprise, we were surprised as to how much old parts inventory was at Multi Products for old UMC motors. We had no idea! We will see how many of these repairs are possible as our experience develops; parts are limited to old stock parts and Multi cannot make most new parts for these styles. We have been doing many of the gearmotor repairs ourselves for years but we still have a learning curve to climb for certain motors and situations. We will attempt to repair motors quickly. 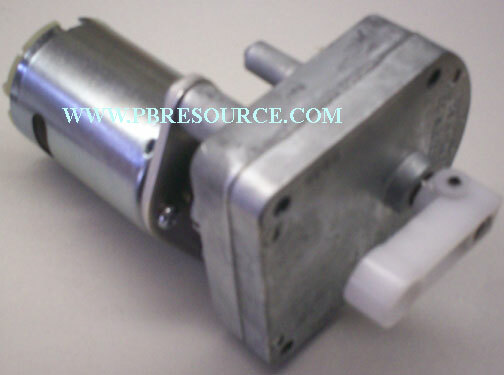 Where parts are in stock, we anticipate within a week. 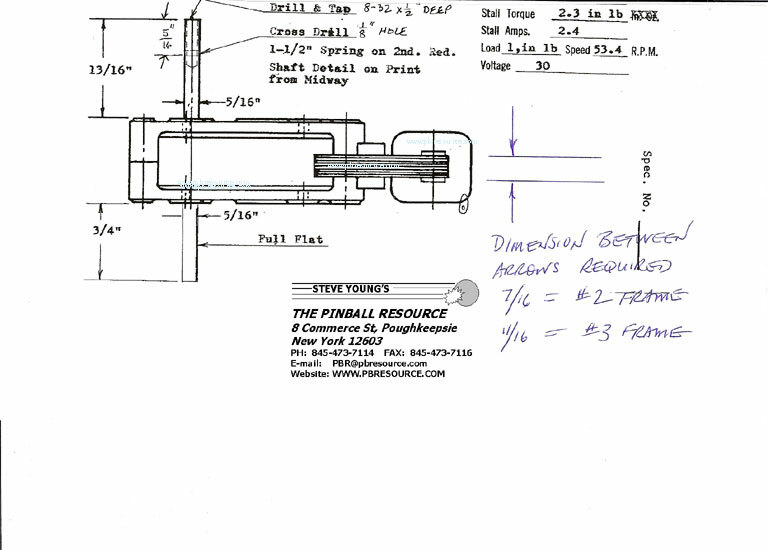 Where we need to obtain parts, the time factor will be longer. 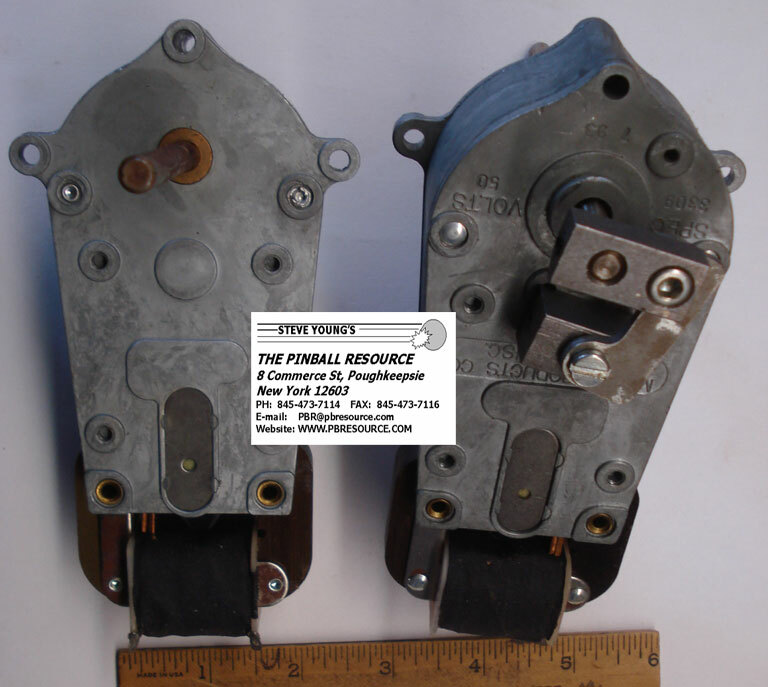 We have been repairing many of these motors for some time and recognize that we see anything from a simple repair to receiving a box of parts from someone else's failed repair attempt. 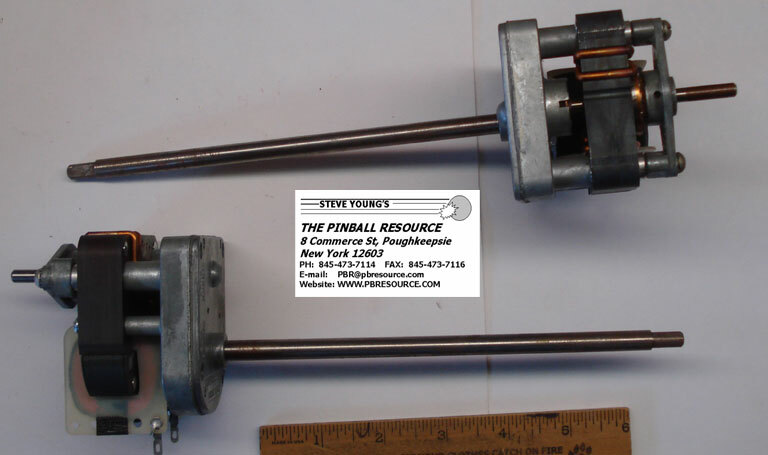 While we sell rebuild kits for many open frame motors, if you have no experience in performing the repair, please consider carefully before you make the project more difficult (read "costly") by attempting yourself. Pricing framework is expected to be $100. flat fee plus parts. If we need to make an exception, we will discussed with the customer before accepting the work.We will attempt to keep the costs fair and reasonable as is our reputation. 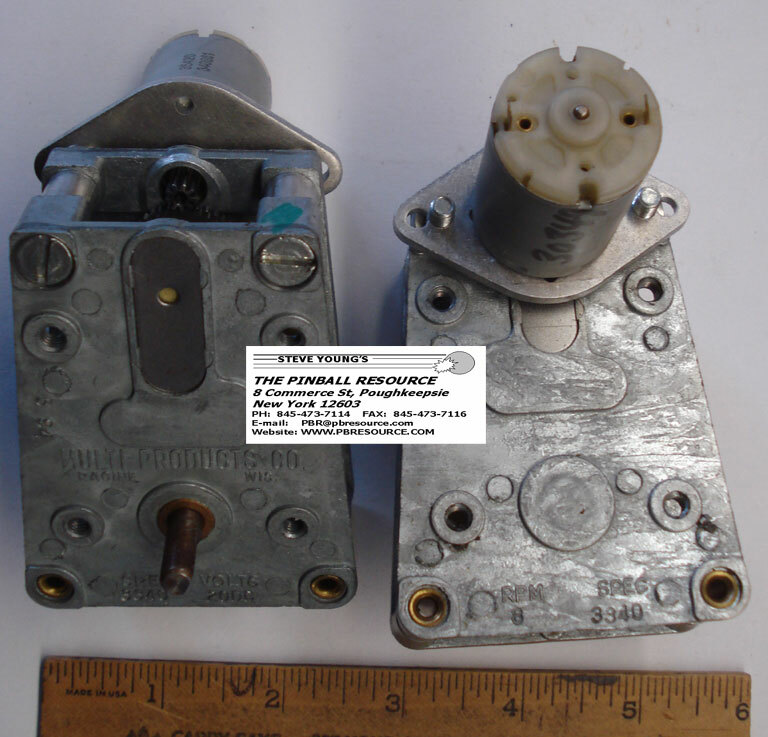 Motors that are not repairable will be returned (after discussion with the customer). Depending on the situation, there may be an inspection fee for unrepairable motors depending on the amount of time needed to disassemble. Return shipping charges will apply. We don't like surprise packages. In order to avoid motors being sent in that are not within our scope, we ask that all motor repairs be called in via the telephone IN ADVANCE (845) 473-7114, just so we can touch basis. One would be surprised how often we receive packages without instructions/notes/return addresses and have to wait for someone to call to question "what happened to my ....?" 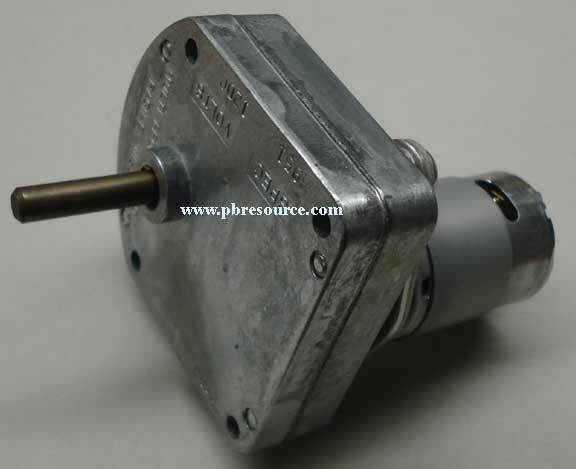 To the best of your ability, please remove the gearmotor from your assembly. We suggest you take photographs if you are unsure how to re-assemble. Please keep all cables and attachments to output shafts. 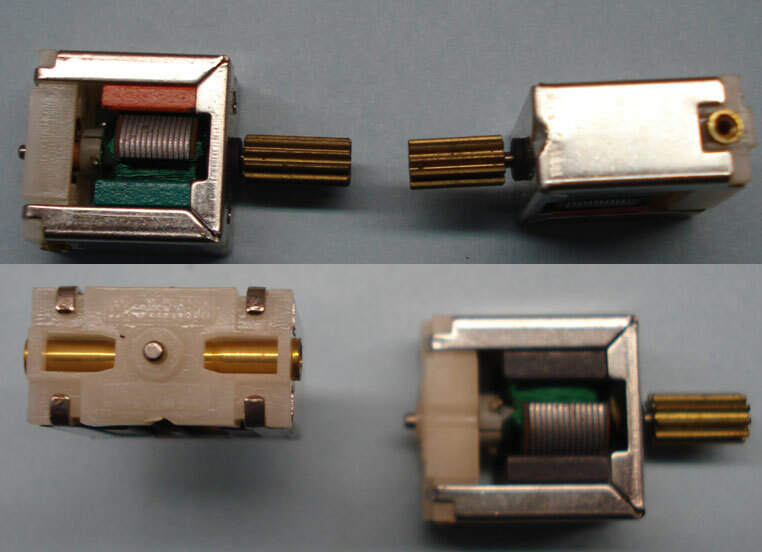 Please note there are exceptions to this as some assemblies use blind taper pins, roll pins and other types of attachment that are not easy to remove without specialized tools. We love the blind taper pins the most...requiring a milling machine cut into the opposite side of the cam to find the other end of the taper pin. If in doubt, PLEASE ASK before sending us a "surprise". Please pack all motors tightly in newsprint in a secure box. DO NOT USE styrofoam peanuts. 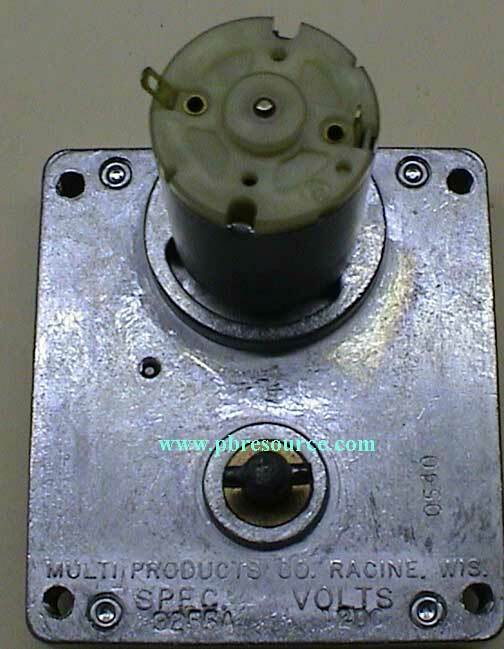 Please take extra care not to damage the electrical winding bobbin and its terminals, this part is most difficult to obtain and to replace. 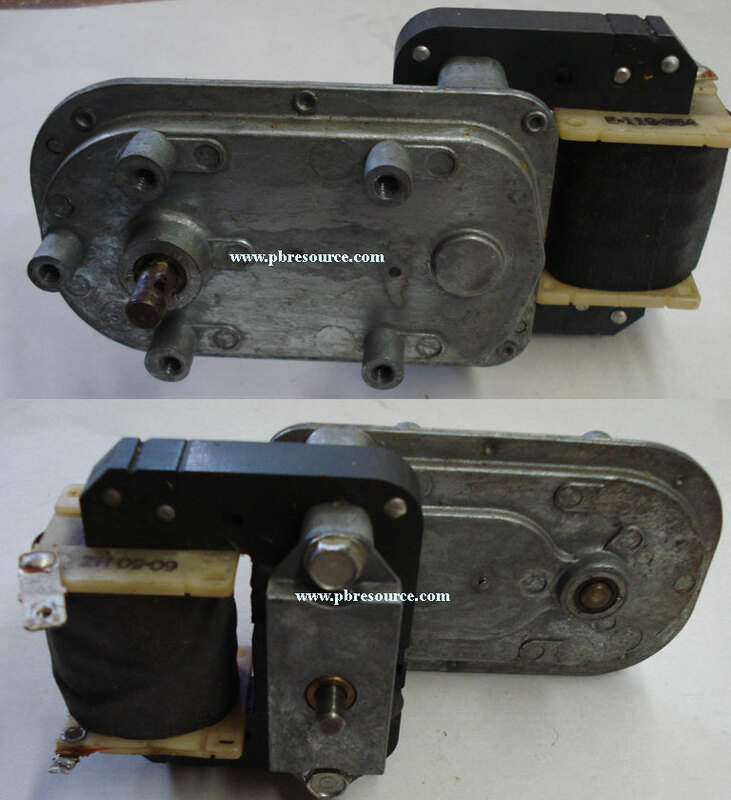 If you take care in packaging, we receive the motor in the best condition. It is disheartening to receive a motor that would have been simple/fast/cheap and find avoidable shipping damage that makes it complicated/slow/expensive. 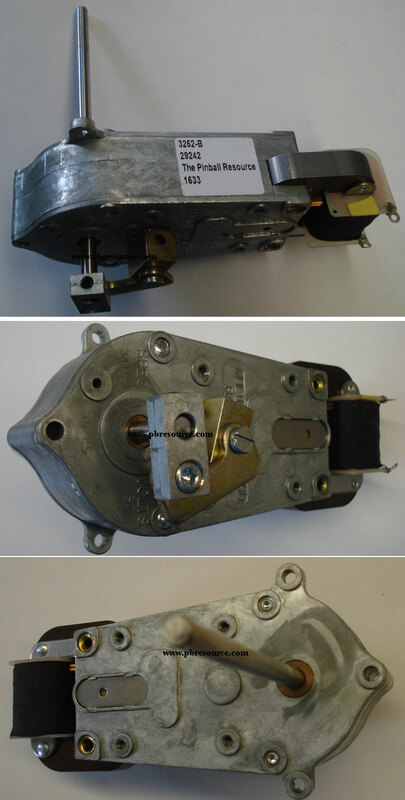 Damaging a motor beyond repair sentences the customer to finding a used motor somewhere as single motors cannot be manufactured one at a time.